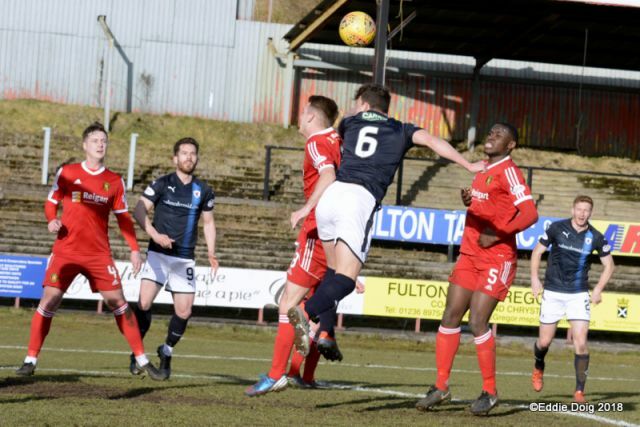 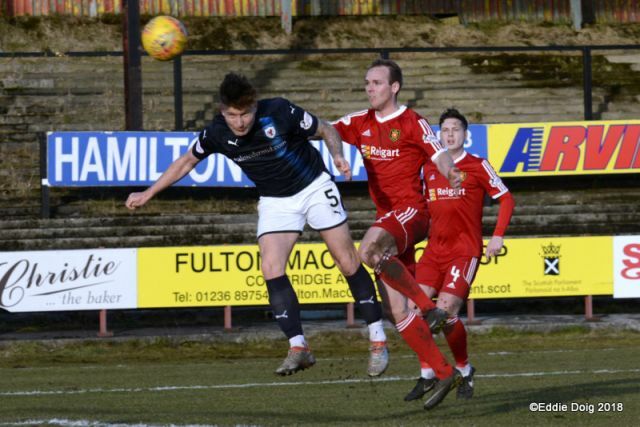 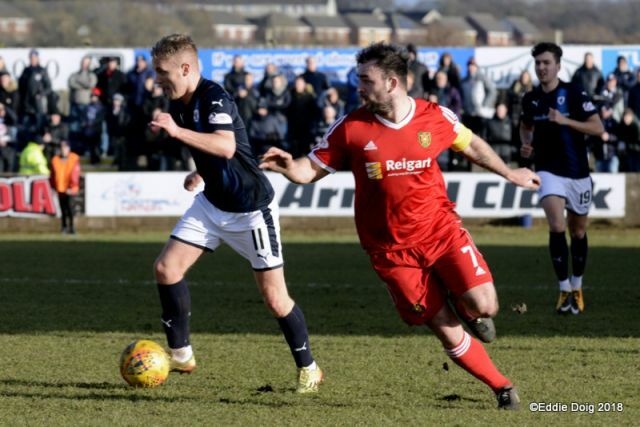 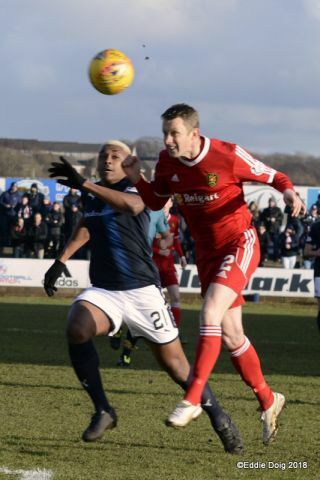 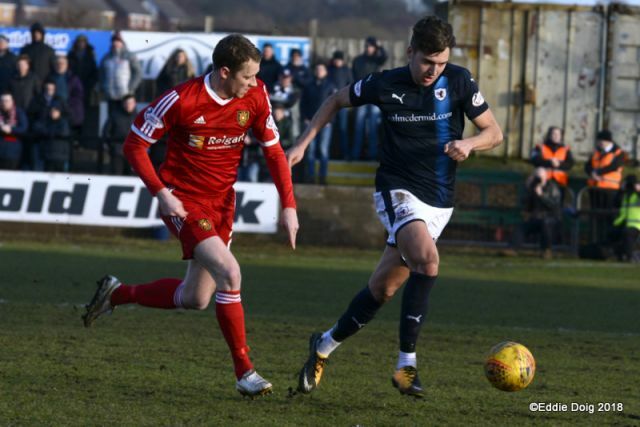 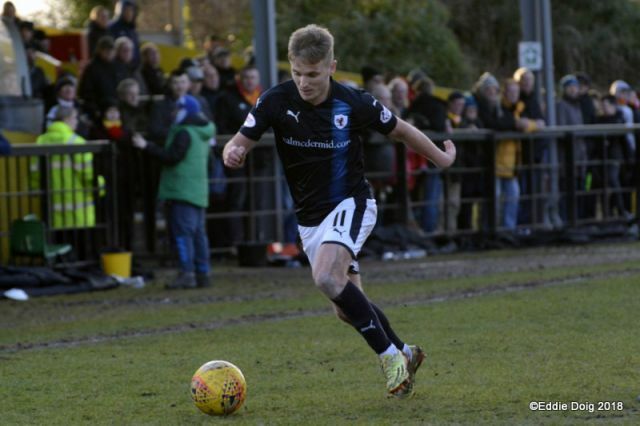 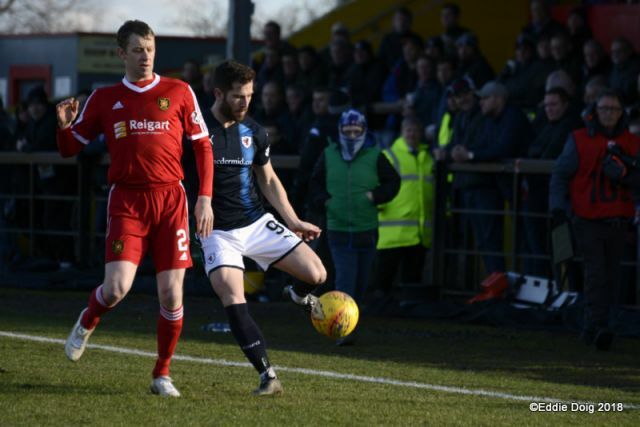 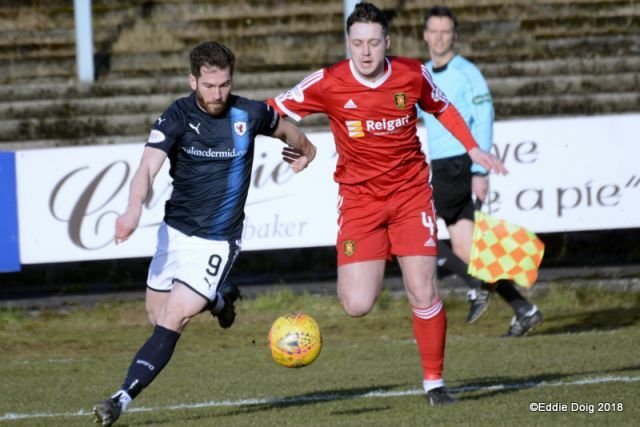 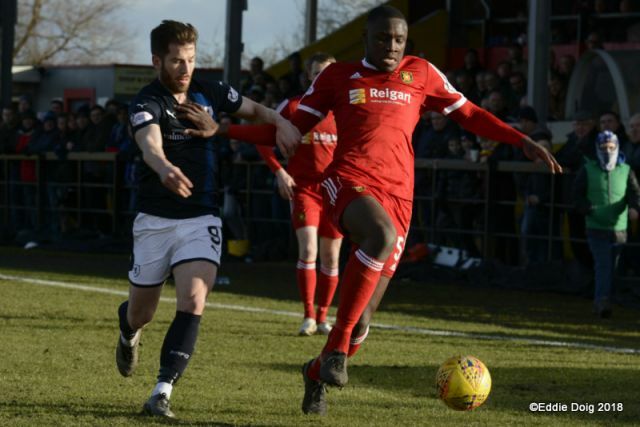 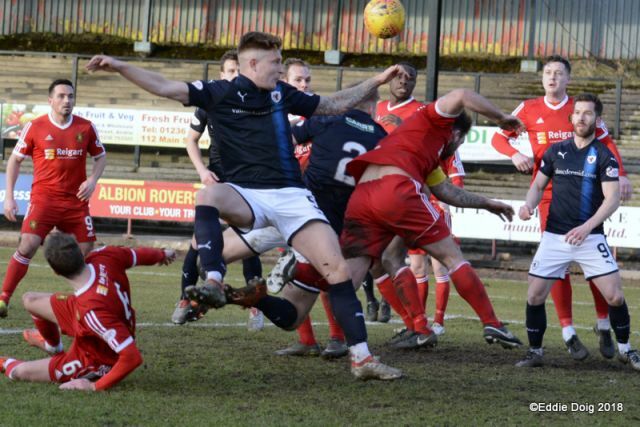 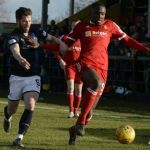 For the second time this season, Raith Rovers dropped points at Cliftonhill following a disappointing performance, as the lead at the top was cut to six points, after this 2-2 draw with Albion Rovers. 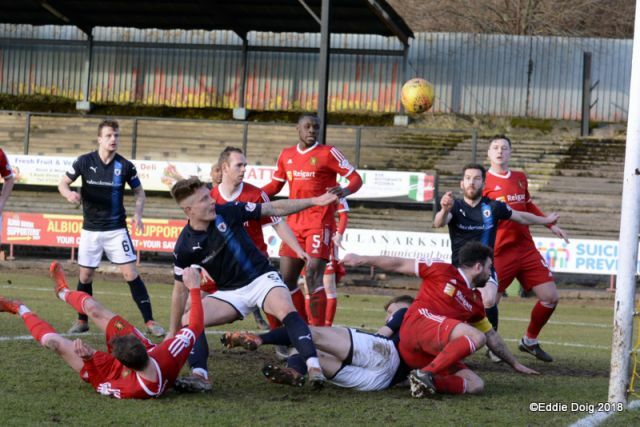 An injury-time penalty, converted by Alan Trouten, undid the hard work Rovers had put in to getting their noses in front, but in truth, the away side again struggled on the difficult surface, and considering their travails there this term, they’ll be hoping it’s their last visit for a few seasons at least. 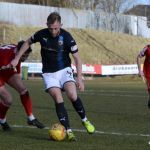 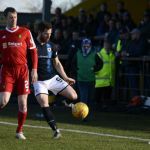 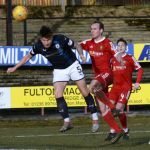 Trouten had given the home side an early advantage, but a Euan Murray header restored parity before the interval, while an own-goal from Jason Marr appeared to hand the three points to Rovers, before the late, late drama. 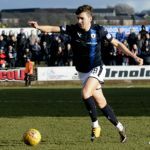 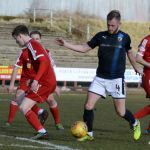 Barry Smith named an unchanged side from the team which came from behind to take all three points against Airdrie, although the absence from the squad of Scott Robertson was a cause for angst, with the twice-capped midfielder’s substitute appearance instrumental in that 2-1 win. 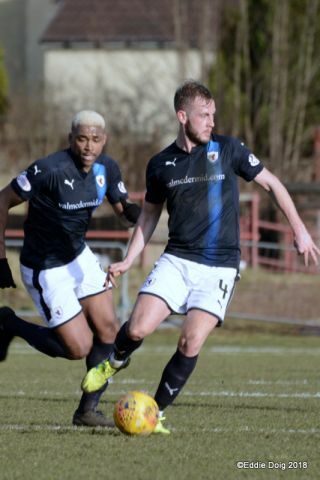 That meant a return to midfield for Lewis Vaughan, who had helped change the game against Airdrie from a more advanced position, with Liam Buchanan and Willis Furtado again paired up-top. 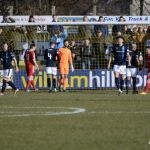 Rovers last visit to the venue had been something of a chastening experience, and they appeared keen to exorcise the memory in the game’s earliest moments. 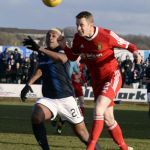 Vaughan chased down a stray ball and played it wide to Buchanan, who wriggled clear on the bye-line before playing in a low cross which had no takers. 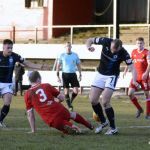 The home side were next to threaten though, although the two shanked efforts demonstrated the challenge which comes with playing at Cliftonhill. 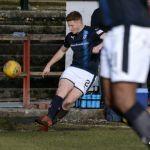 Kane Hester tried his luck from distance, but a bobble meant his shot flew into the air and out to the left-hand-side of the penalty area, where Trouten did something similar, blazing his shot well over Aaron Lennox’s crossbar. 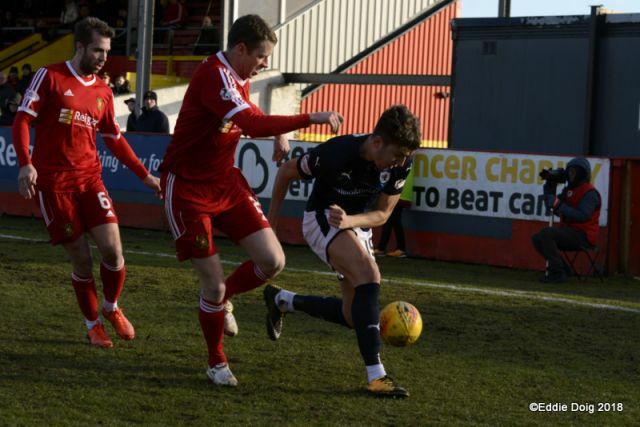 Disconcertingly, Rovers appeared to be struggling to get to grips with the game, especially in the middle third, where Brian Kerr’s team were exposing clumps of space, and they took advantage in the 11th minute. 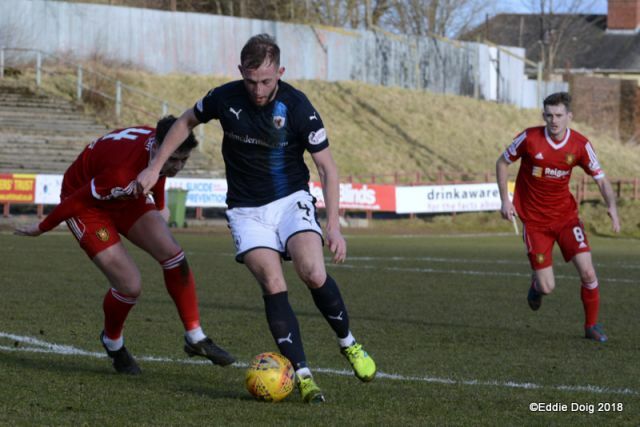 A chipped ball through to Trouten appeared at first to be covered by Rovers centre-halves, but with neither Iain Davidson or Kyle Benedictus able to get goal side in time, he nudged clear of both, and slotted past Lennox and off the inside of the post. 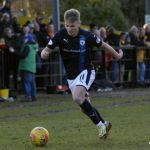 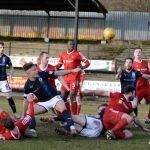 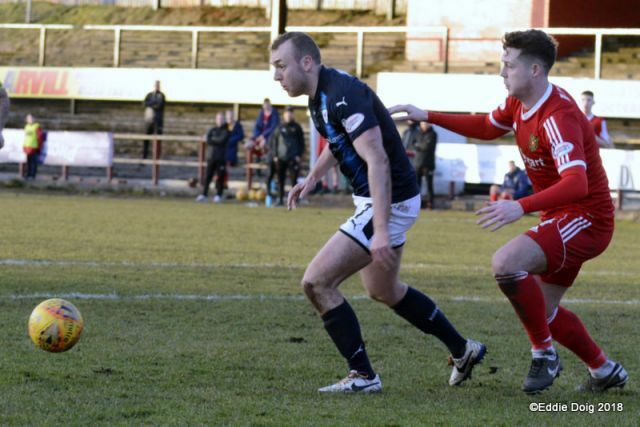 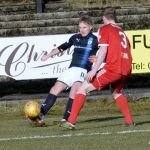 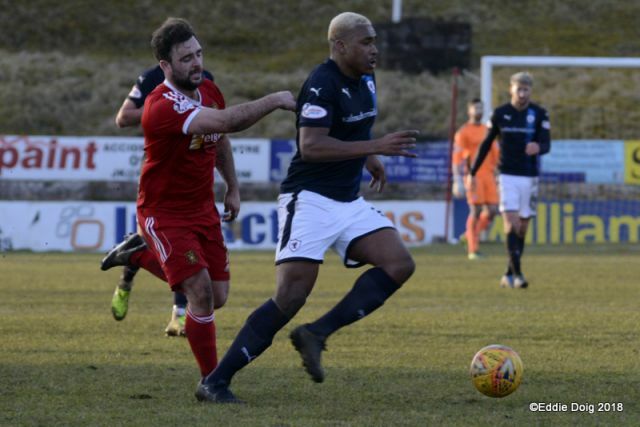 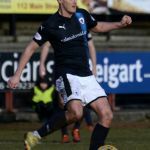 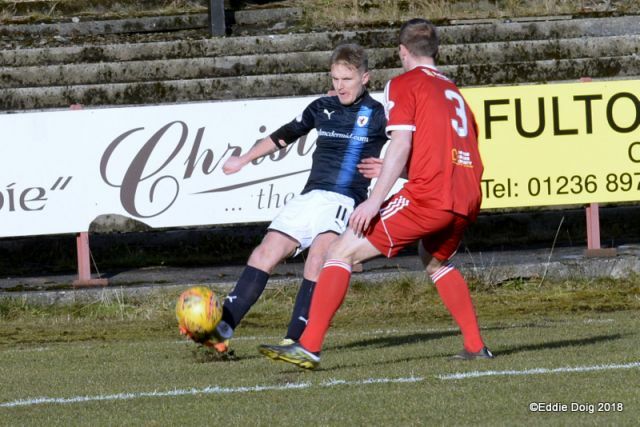 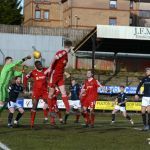 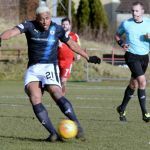 Davidson in particular seemed certain the prolific forward had controlled the ball with his hand, but the goal stood, and Rovers were again facing an uphill struggle at Cliftonhill. 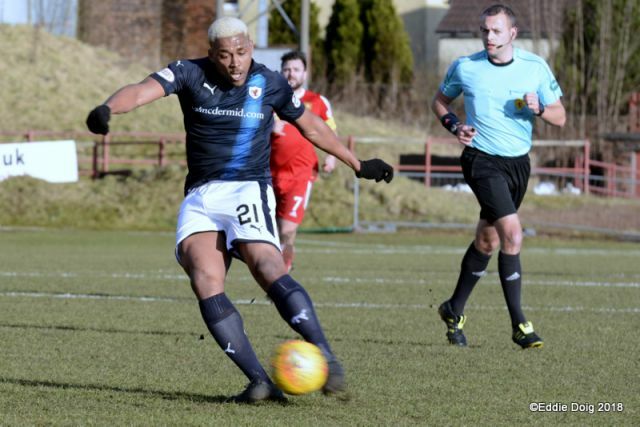 Rovers then wasted a great opportunity to hit right back, when Buchanan played in Furtado, whose first-time pass round the corner to Heron presented him with a route to goal, but with his first touch slightly too far ahead of him, he wasn’t able to get an early shot away, and when he eventually let fly he was crowded out. 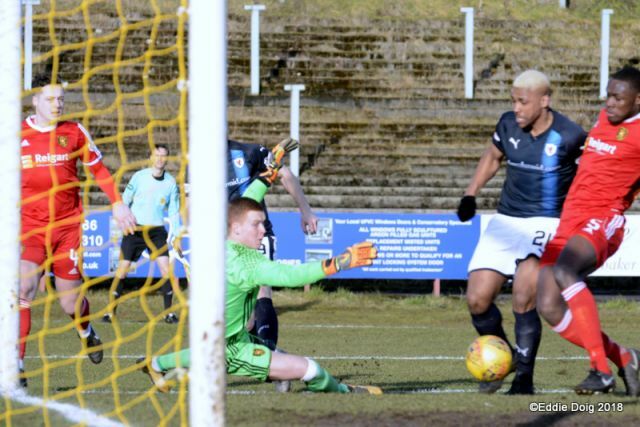 Rovers were starting to string some passes together however, and Buchanan was the next to try his luck, after Furtado again brought him into play, but from 20-yards, his well struck effort flew just past the post with Kieron Wright struggling to get across. 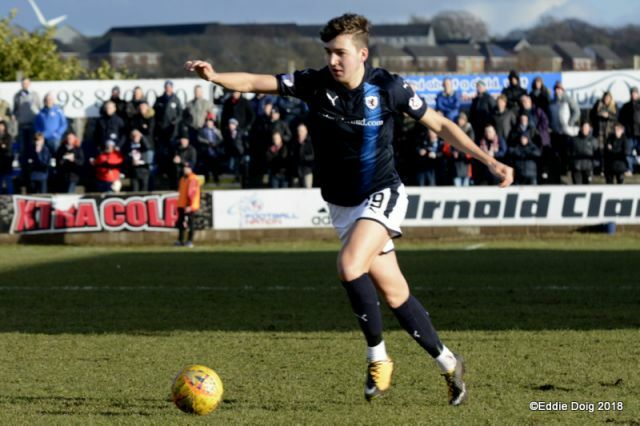 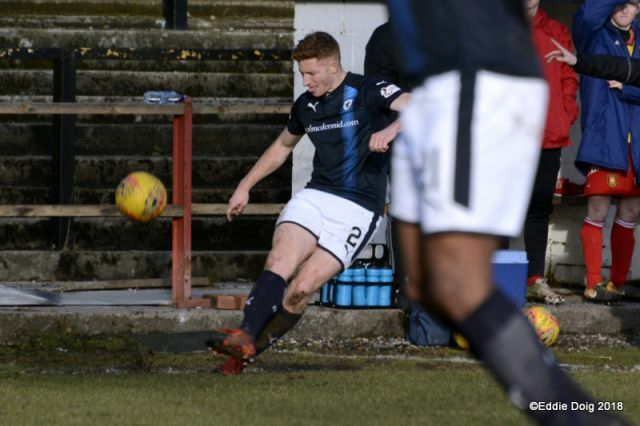 Considering Trouten’s propensity to score against Rovers, the Raith fans were alarmed to see him pop up in the middle of the penalty area midway through the first-period, knocking the ball over one defender, before doing the same to Lennox, only to see the ball bounce just wide. 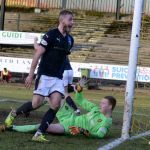 However, Rovers would get their equaliser in the 40th minute, and this time it would be the home side who would feel aggrieved. 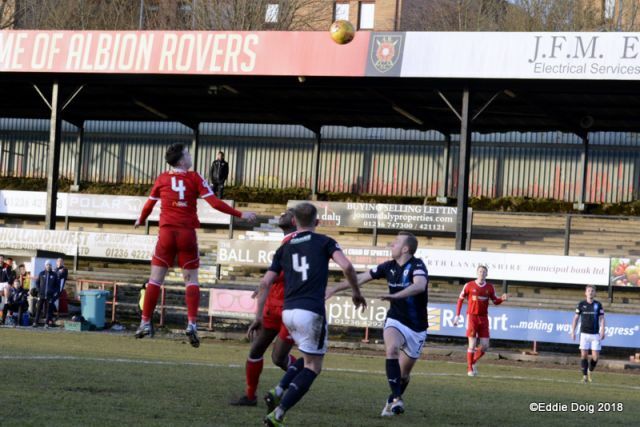 Hester’s cross-come-shot appeared to be diverted over the bar by Lennox, but not so according to the officials, who awarded Rovers a goal-kick, from which Rovers would score. 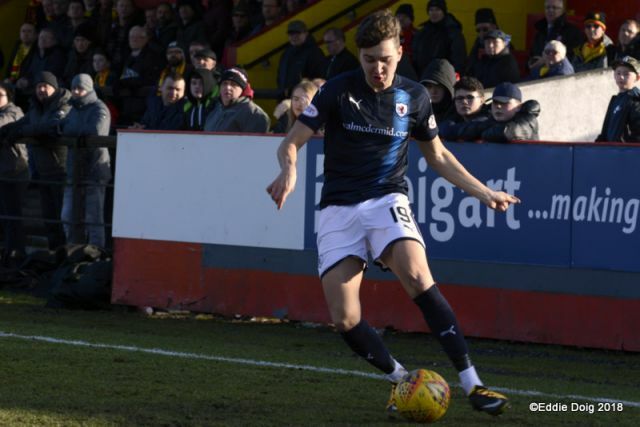 Dario Zanatta received the ball wide on the left, and after being tripped, Vaughan’s set-piece was thundered home by the head of Murray, giving Rovers a platform to build on in the second period. 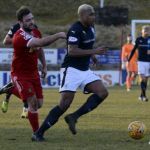 At least that was the hope, but the first twenty-five minutes or so of the second-period were noteworthy only for their lack of noteworthiness. 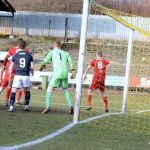 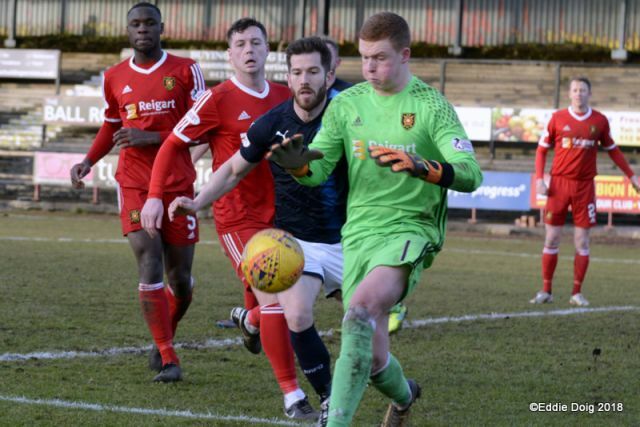 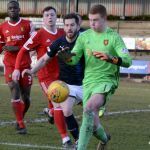 Rovers were enjoying the bulk of possession, indeed, the game was taking place almost exclusively in Albion Rovers half, but with nary a save being required from Wright in the home goal. 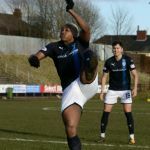 As much as Rovers had all the ball, they were struggling to pierce the centre of the Wee Rovers defence, while Zanatta and Barr were both having a frustrating afternoon in the wide areas. 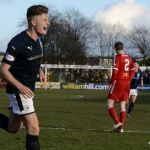 Buchanan was unfortunate to be flagged offside when played clean through, although the forward placed his shot wide of the target anyway, but the second-half was punctuated by misplaced passes, the ball being run out of play and set-piece chances being frittered away. 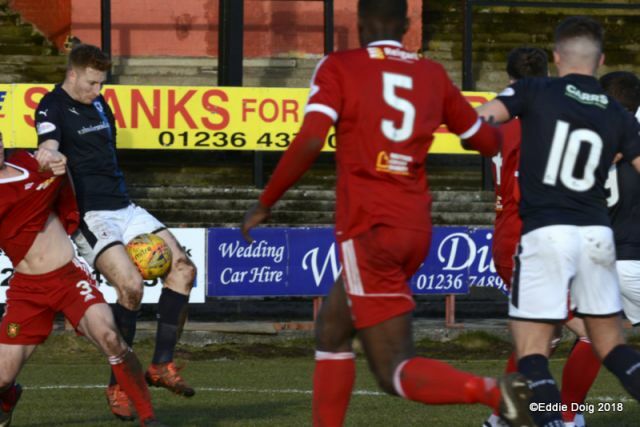 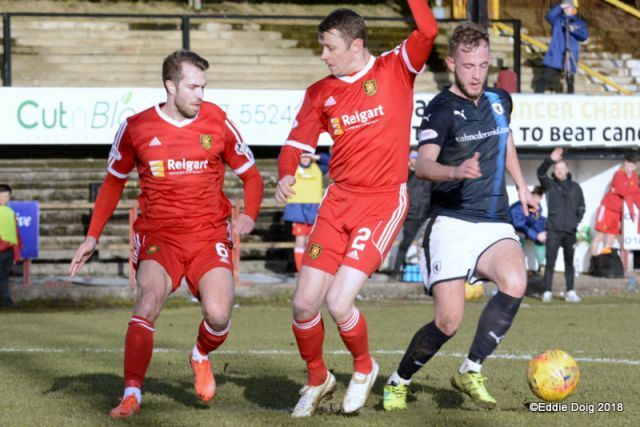 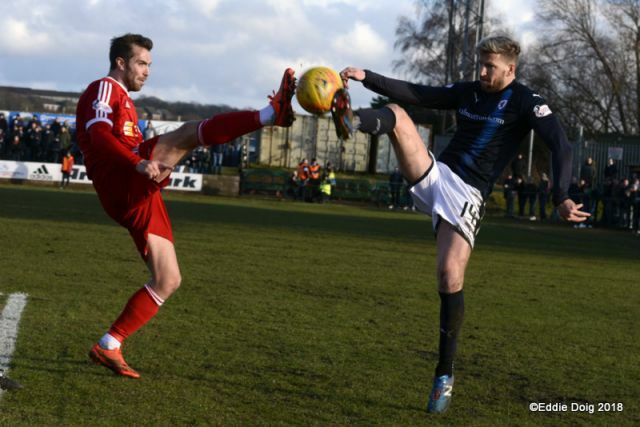 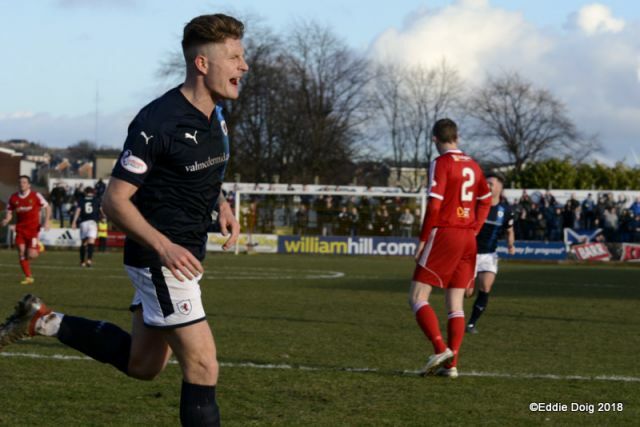 It would take until the 65th minute until Raith mustered a shot in the second period. 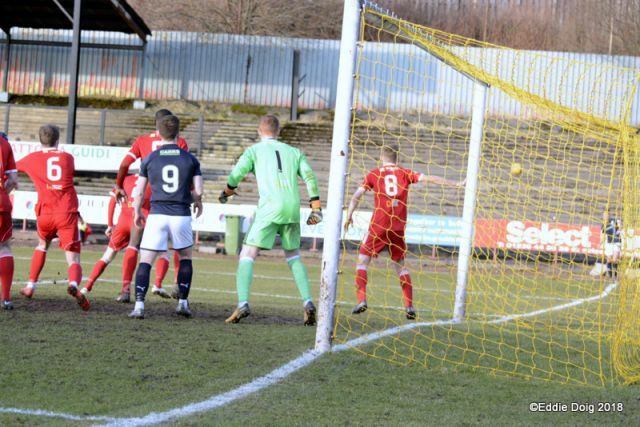 Vaughan’s corner eventually made its way back to him, but after cutting inside, his tame shot was easily gathered by Wright. 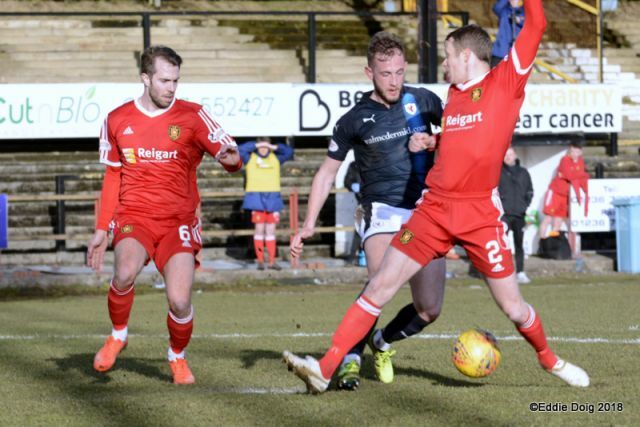 Smith rejigged things as the game entered the final quarter, swapping Ross Matthews with Buchanan and putting Vaughan up top, before Greig Spence then replaced Zanatta, with Furtado going wide. 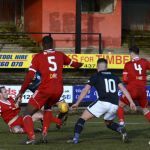 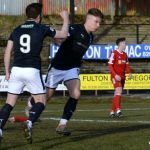 The team still looked to be lacking inspiration however, but they got a dollop of good fortune in the 82nd minute, when Murray’s cross looped off the head of Albion Rovers Jason Marr and into the net, for an unfortunate own-goal, that appeared to be enough to hand all three points to the full-time side. 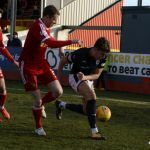 The late drama was to follow though, with Thomson adamant he didn’t foul Trouten inside the area, but referee Gavin Duncan disagreed, allowing Trouten to fire passed Lennox for a share of the spoils. 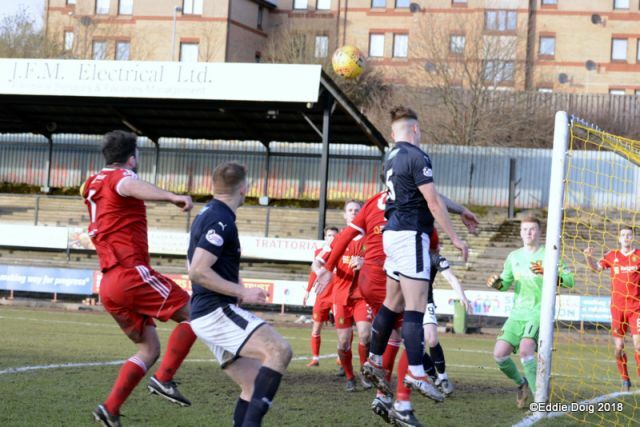 The 2-2 draw means that Ayr have now closed the gap at the top-of-the-table to six points, having played a game fewer. 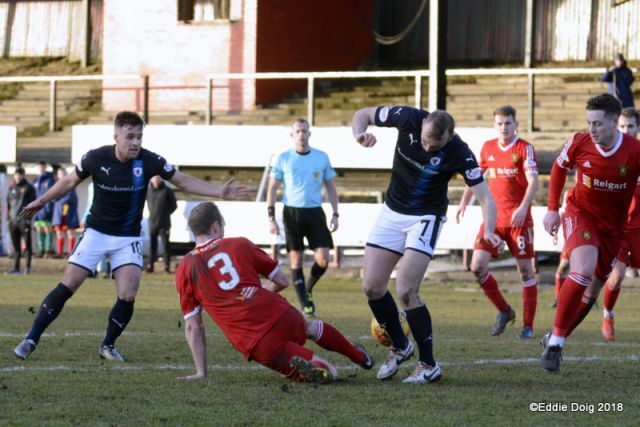 Welcome to Cliftonhill. 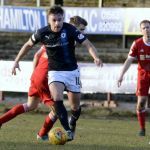 Raith’s starting 11 is unchanged from last week. 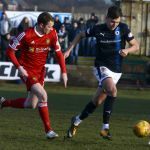 Decent weather for a game of football - not warm, but the sun’s out! 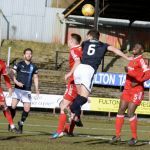 Raith kick off towards Glasgow! 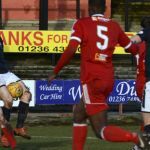 Herron jinks inside the box again, this time Mbayo clears for a corner. 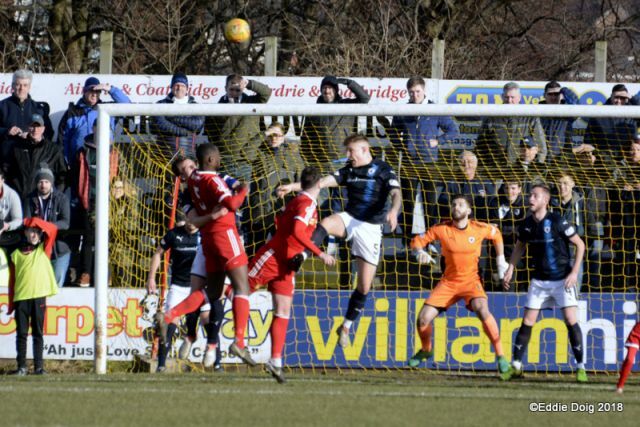 Thomson finds the side netting with his header. 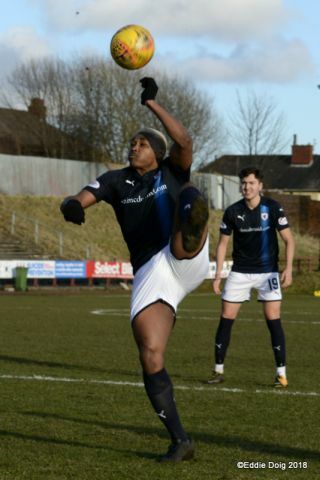 1-1! 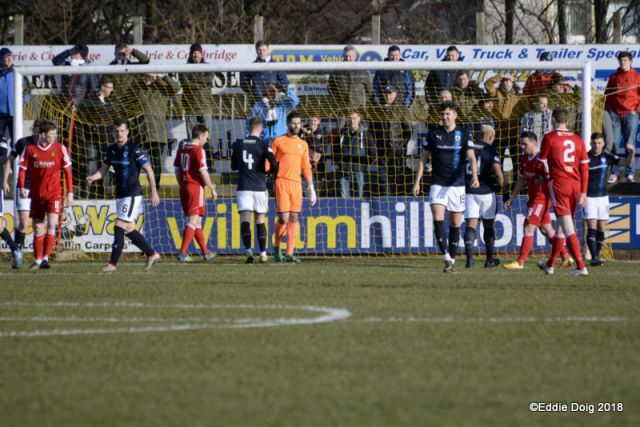 Terrific free kick from Vaughan and MURRAY blasts a header past the keeper! 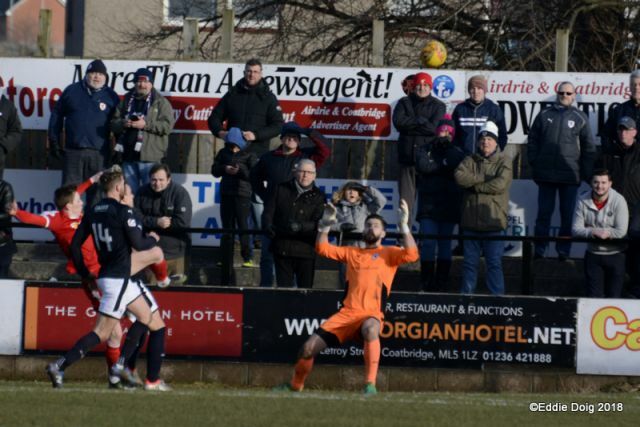 The home support are furious with the near side linesman, who gave a goal kick instead of an obvious corner just before the Raith goal. 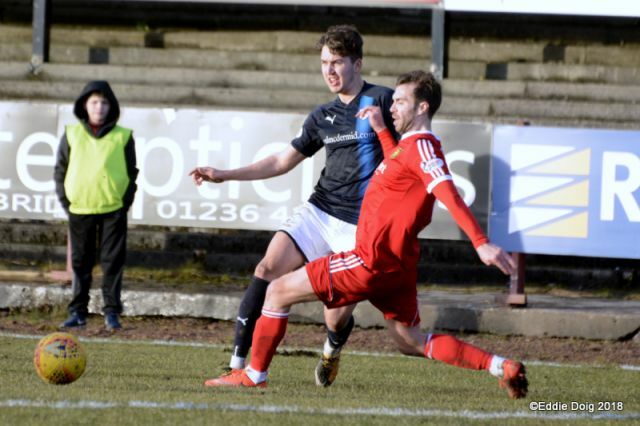 Apoplectic! 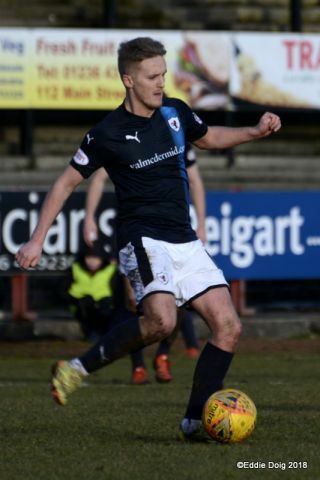 Raith sub: Matthews on for Buchanan. 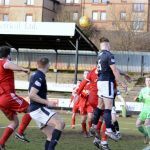 Vaughan will go up top like last week. 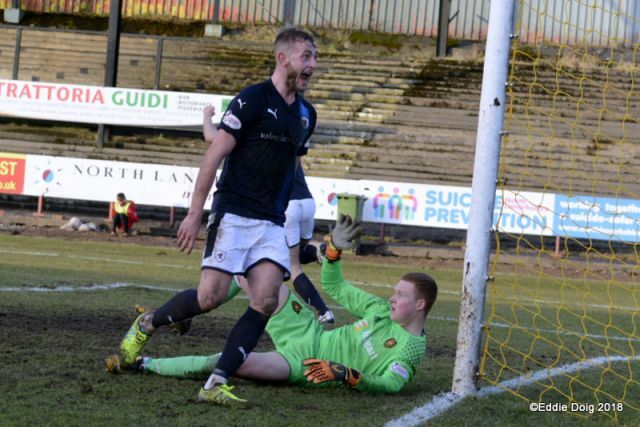 2-1 Raith! 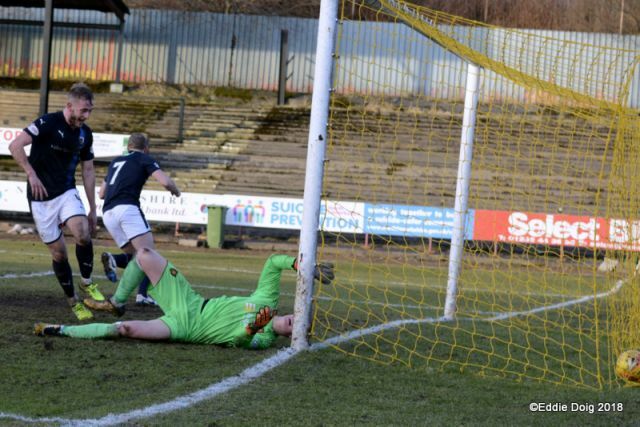 An unfortunate own goal by Marr, whose header looped over Wright beautifully! 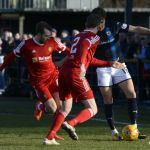 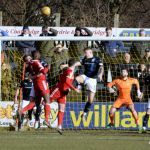 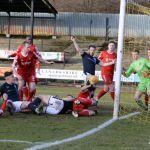 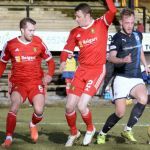 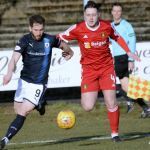 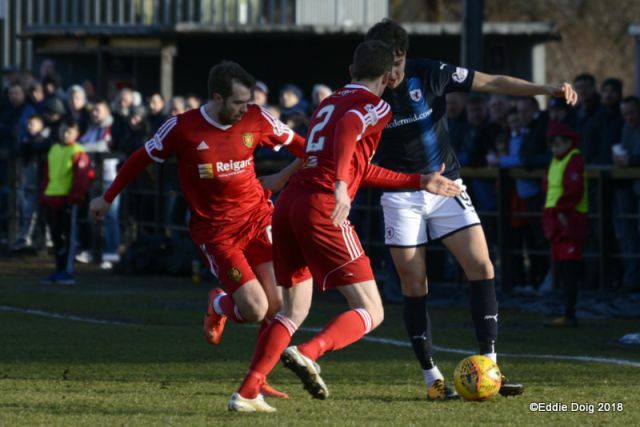 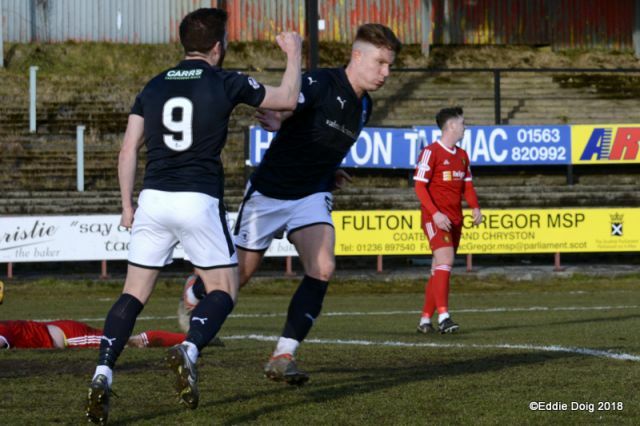 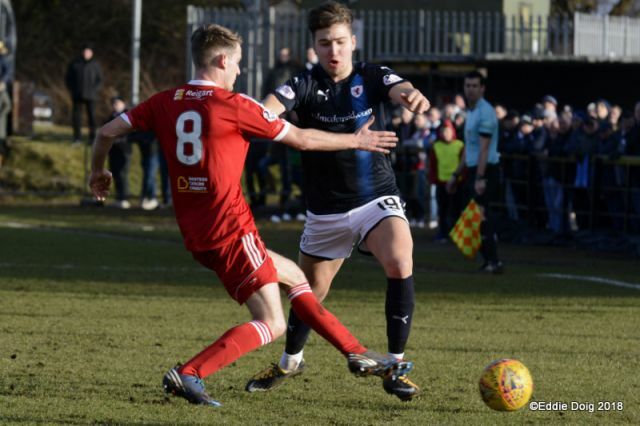 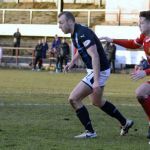 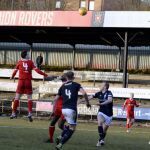 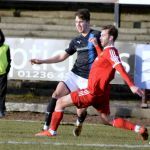 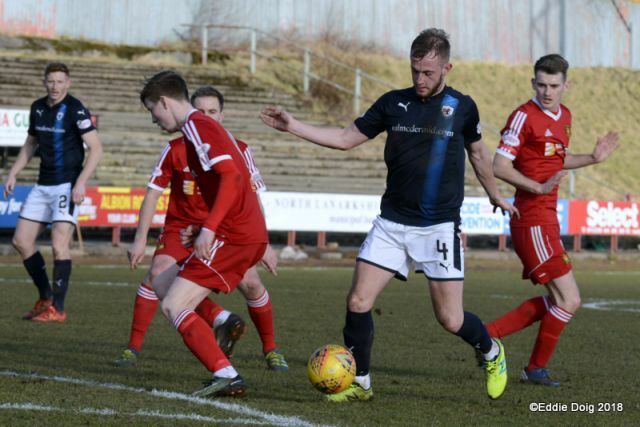 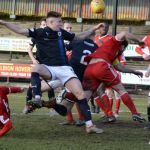 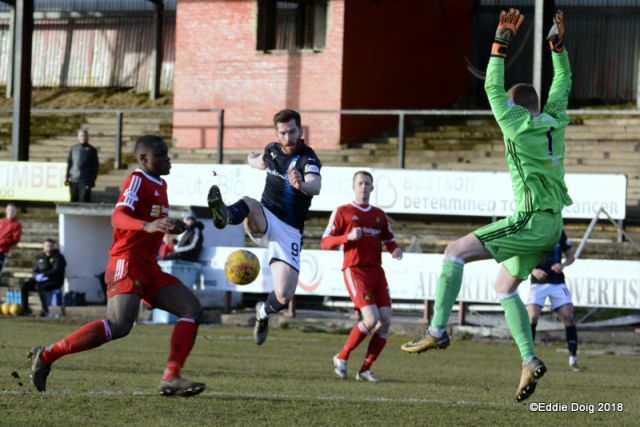 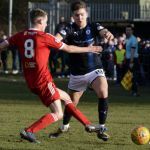 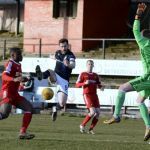 After extending their lead at the top of the League One table to eight points at the weekend, Raith Rovers will be aiming to retain, or even extend that gap, with a trip Cliftonhill to face Albion Rovers on Saturday. 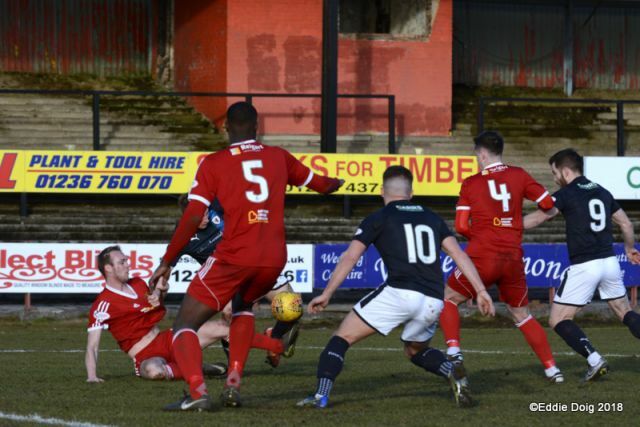 The two sides met as recently as the 6th of February, when a brace from John Herron and a solitary strike from Jason Thomson sealed a 3-1 win, after Michael Hopkins had briefly restored parity for Brian Kerr’s side. 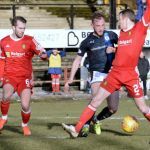 Albion Rovers have been on a poor run of late, with six successive defeats, but they do have experience of beating Rovers this season, with a 2-1 win over Barry Smith’s men in September. 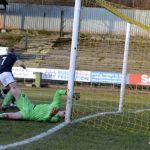 That was one of only two home wins for the Wee Rovers this term, a scenario which has contributed to their position of eighth in the table, a point clear of both Queen’s Park and Forfar Athletic. 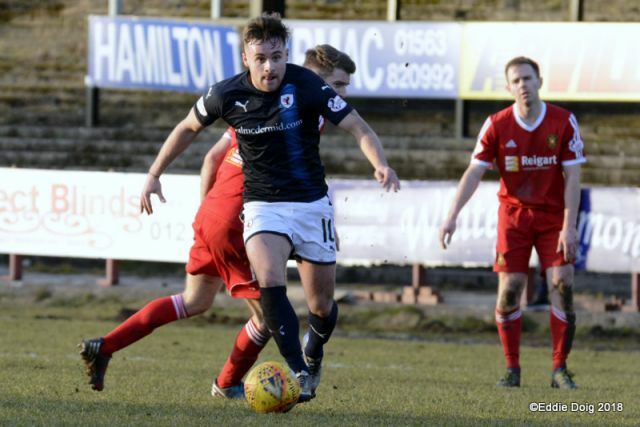 While Rovers experienced hiccups with their away form earlier in the campaign, a run of just one defeat in 13 league matches, which includes three wins and two draws from six matches away from Stark’s Park, suggests Raith have turned a corner with regards their away form. 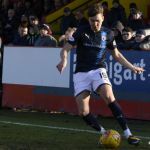 Despite boasting the most miserly defence in the league, Rovers will have to pay particular attention to Alan Trouten, who with 23 goals to his name, is proving to be one of the division’s deadliest marksmen. 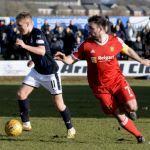 If Rovers were to lose at the weekend, it’ll be the first time they’ve lost twice in the same season to Albion Rovers since the 1974/75 season, a campaign where Albion Rovers finished twelfth, and Raith thirteenth in the old Second Division. 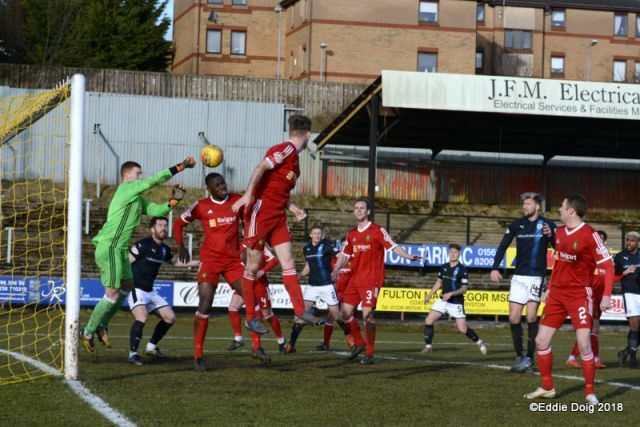 Raith are without a win in their last three visits to Cliftonhill, with their last victory at the venue coming back in April 1987, but despite that, Rovers have a good record in the most recent head-to-head, winning six and drawing two of the last ten meetings between the sides.